A common misconception sees genre as a fixed list of dramatic requirements or a rigid structural template from which there can be no deviation. Writers laboring under these restrictions often find themselves boxed-in creatively. They become snared in the Genre Trap, cranking out stories that are indistinguishable from a whole crop of their contemporaries. In fact, genre should be a fluid and organic entity that grows from each story individually. Such stories are surprising, notable, memorable, and involving. In this article, you’ll learn a new flexible technique for creating stories that are unique within their genres. The first step in escaping from the Genre Trap is to understand how we fall into it in the first place. Consider how wrapped up you become in the details of your story. You slave over every plot point, struggle to empathize with every one of your characters, and perhaps even grieve over the effort to instill a passionate theme. The problem is, you become so buried in the elements of your story that you lose sight of what it feels like as a whole. So while every piece may work individually, the overall impact may be fragmented, incomplete, or inconsistent. To avoid this, we fall back on “proven” structures of successful stories in a similar genre. We cut out parts of our story that don’t fit that template, and add new sections to fill the gaps. We snip and hammer until our story follows along the dotted lines. And lo and behold, we have fallen into the genre trap – taking our original new idea and making it just like somebody else’s old idea. Sure, the trappings are different. Our characters have different names. The big battle between good and evil takes place in a roller rink instead of a submarine. But underneath it all, the mood, timber, and feel of our story is just like the hundred others stamped out in the same genre mold. Rather than thinking of your story as a structure, a template, or a genre, stand back a bit and look at your story as it appears to your reader or audience. To them, every story has a personality of its own, almost as if it were a human being. From this perspective, stories fall into personality types, just like real people. When you meet someone for the first time, you might initially classify them as a Nerd, a Bully, a Wisecracker, a Philanthropist, or a Thinker. These, of course, are just first impressions, and if you get the chance to spend some time with each person, you begin to discover a number of traits and quirks that set them apart from any other individual in that personality type. Similarly, when you encounter a story for the first time, you likely classify it as a Western, a Romance, a Space Opera, or a Buddy Picture. Essentially, you see the personality of the story as a Stereotype. At first, stories are easy to classify because you know nothing about them but the basic broad strokes. But as a story unfolds, it reveals its own unique qualities that transform it from another faceless tale in the crowd to a one-of-a-kind experience with its own identity. At least, that is what it ought to do. But if you have fallen into the Genre Trap, you actually edit out all the elements that make your story different and add others that make it the same. All in the name of the Almighty Genre Templates. Avoiding the Genre Trap is not only easy, but creatively inspiring as well! 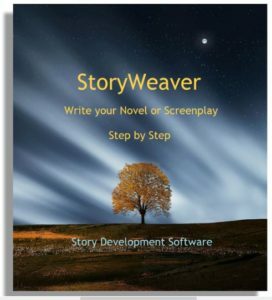 The process can begin at the very start of your story’s development (though you can apply this technique for re-writes as well). Make a list of all the Stereotypical Genres that have elements you might want to include in the story you are currently developing. For example, you might want to consider aspects of a Western, a Space Opera, a Romance, and a Horror Story. Western – Brawl in the Saloon, Showdown Gunfight, Chase on Horseback, Lost Gold Mine, Desert, Indians. Space Opera – Time Warp, Laser Battle, Exploding Planet, Alien Race, Spaceship Battle, Ancient Ruins. Romance – Boy Meets Girl, Boy Loses Girl, Boy Gets Girl, Misunderstanding alienates Boy and Girl, Rival for Girl throws out Misinformation, Last Minute Reveal of the Truth leading to Joyful Reunion. Horror Story – Series of Grizzly and Inventive Murders, The Evil Gradually Closes in on the Heroes, Scary Isolated Location, Massive Rainstorm with Lightning and Thunder. (Note that some genre elements are about setting, some about action, and some about character relationships. That’s why it is so hard to say what genre is. And it is also why looking at genre, as a story’s Personality Type is so useful. From the lists of elements you have created, pick and choose elements from each of the genres that you might like to actually include in your story. For example, from Western you might want Lost Gold Mine, Desert, and Indians. From Space Opera you might choose Spaceship Battle, Exploding Planet and Alien Race. Romance would offer up all the elements you had listed: Boy Meets Girl, Boy Loses Girl, Boy Gets Girl, Misunderstanding alienates Boy and Girl, Rival for Girl throws our Misinformation, Last Minute Reveal of the Truth leading to Joyful Reunion. And finally, from Horror Story you might select Scary Isolated Location, Massive Rainstorm with Lightning and Thunder. From this Master List of Genre Elements that you might like to include in your story, see if any of the elements from one genre have a tie-in with those from another genre. For example, Indians from the Western and Alien Race from the Space Opera could become a race of aliens on a planet that share many of the qualities of the American Indian. And, the relationship between the boy and the girl easily becomes a Romeo and Juliet saga of a human boy colonizing the planet who falls in love with an alien girl. Once you’ve chosen your elements and cross-pollinated others, you need to determine where in your story to place them. If you are stuck in a Genre Trap, there is a tendency to try and get all the genre elements working right up front so that the genre is clear to the reader/audience. This is like trying to know everything there is to discover about a person as soon as you meet him or her. It is more like a resume than an introduction. The effect is to overload the front end of the story with more information than can be assimilated, and have nowhere left to go when the reader/audience wants to get to know the story’s personality better as the story unfolds. So, make a timeline of the key story points in your plot. Add in any principal character moments of growth, discovery, or conflict. 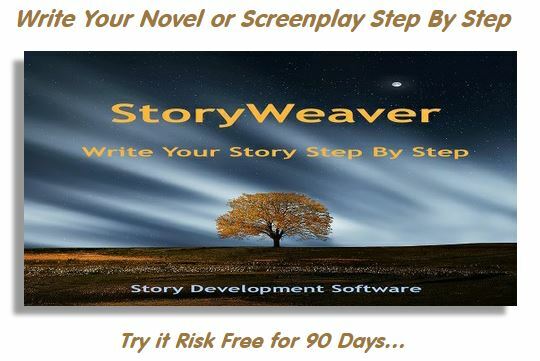 Now, into that timeline pepper the genre elements you have developed for your story. For example, you might decide to end with a massive spaceship battle, or you could choose to open with one. The information about the Alien Race being like the America Indians might be right up front in the Teaser, or you could choose to reveal it in the middle of the second act as a pivotal turning point in the story. Because genre elements are often atmospheric in nature, they can frequently be placed just about anywhere without greatly affecting the essential flow of the plot or the pace of character growth. As you look at your timeline, you can see and control the reader’s first impressions of the story genre. And you can anticipate the ongoing mood changes in your story’s feel as additional elements in its personality are revealed, scene-by-scene or chapter-by-chapter. Not everyone wants to start a story with genre development. In fact, you might want to go through an entire draft and then determine what genre elements you’d like to add to what you already have. The process is the same. Just list the genres that have elements you might wish to include. List the elements in each that intrigue you. Select the ones that would fit nicely into your story. Cross-Pollinate where you can. Pepper them into your existing timeline to fill gaps where the story bogs down and to reveal your story as a unique personality. Genre is part setting, part action, part character, and part story-telling style. Trying to follow a fixed template turns your story into just another clone. But by recognizing that genre is really a story’s personality type, you can make it as individual as you like. And by peppering your elements throughout your story’s timeline, you will create first impressions that will capture your reader or audience and then hold their interest as your story’s one-of-a-kind personality reveals itself. This entry was posted in Genre. Bookmark the permalink.